The goals of most practice websites are to get more website visitors, more interested prospects, and – most important of all – more new patients. The problem is most chiropractors aren’t sure what needs to be done to reach those goals. That’s when hiring an online chiropractic marketing company might come under consideration. 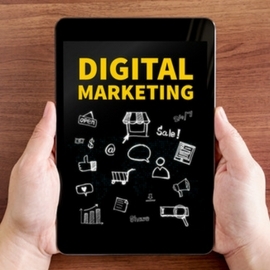 Now, digital marketing services can vary from one company to another. Some design websites. Some offer social media. Some offer online advertising. Others offer a repertoire of marketing services. 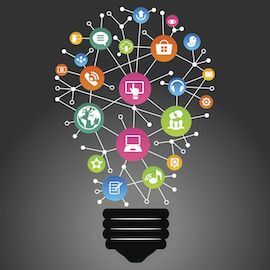 Below are eight ways a chiropractic marketing company can help grow your online presence. Your website is the hub for all your digital marketing activities. Without a website, you don’t have an online presence. The best website designers take careful planning into the execution of a new site. They understand your target audience. They know where you stand among your competitors. They perpetually refine strategies to produce a steady flow of new patients. Your website isn’t designed simply to get website visitors. 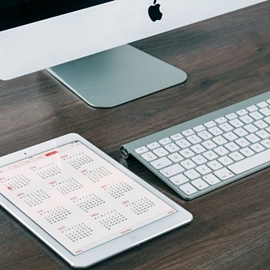 It’s to get patient-minded prospects who are intrigued enough to schedule an appointment. Even among those responding to a referral, the new patient journey typically begins with an online search. A visitor arrives on your site, they learn about your practice, and then they schedule an appointment. Optimizing your website for search engines is essential. After all, Google is the number-one source of new patients. Ideally, your designer will incorporate SEO into your website while they develop it. There are also companies that offer SEO services for an established site. An SEO campaign shouldn’t be rushed into action. Before implementation, it’s important that your marketing company learns about your practice and the competition in your jurisdiction. More than 75 percent of searchers will click only on results presented on the first page. There are two types of website content: 1) The type of content written during the development of your site; 2) The content written after the launch of your site. Unless you are a professional writer, you might consider hiring a company that offers copywriting. But choose wisely. These writers should have extensive experience in not only writing website content, but writing content that appeals to chiropractic patients. Moreover, they should know the unique aspects of your practice. For instance, the Perfect Patients writing team performs a 30-minute content interview with a new client so they understand how to differentiate that client from the competition. The second type of website content consists of additional pages and blog posts that are published after launch. Do you have events throughout the year? Do you donate to charities? Keeping your website updated with fresh content keeps patients in the loop while signaling to Google that your website is alive and well. Blogging is an excellent tool for keeping patients engaged. Many chiropractors outsource their blog content to a third party service. While this is efficient, be sure that their writers have experience writing professional chiropractic content. Also, make sure they keep to a consistent publishing schedule. Weekly or bi-weekly is a good starting point. The impact social media has on new patient growth is often exaggerated. It’s rare that someone looking for a chiropractor would perform a search on Facebook. However, a prospective patient might turn to social media for recommendations. These recommendations can then turn into patient referrals. 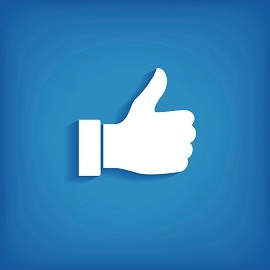 Can a marketing company help you with your social media? Absolutely. They can provide you with resources to maintain a committed social following. Attractive graphics containing messages on health tips and chiropractic facts help to keep followers engaged. If you want to get the most out of your social presence, it’s important for you or a staff member to be involved as well. Introducing a new employee, announcing a new event, or simply posting something fun going on at your office will add a personal touch to your social media pages. Email is one of the oldest online marketing tactics. And it’s still highly effective today. In fact, it’s more impactful than many of the latest marketing trends. Much of what email marketing comes down to is software capabilities. A chiropractic marketing company can provide you with automation tools that make your campaigns easy. In fact, you might never have to lift a finger. Surveys, newsletters, birthday emails – all of these campaigns can be automated with the right company. Be sure that you, or your provider, integrate your email list with your website. This will ensure that your lists are accurate and marketable. A study by BrightLocal observed the “trust factor” images carry on a business’ website. According to the findings, photos of the owner inspire the most trust (46 percent), generic photos inspire moderate trust (33 percent), and no images inspire very little trust (21 percent). Professional photography is not a common service offered by online marketing companies, even though it’s an essential design ingredient. 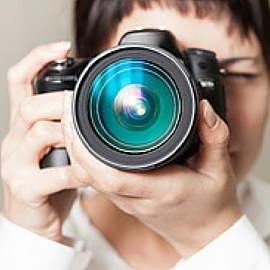 Photos breathe life into your website. But not just any photos. Professional photos of you, your staff, and your office showcase your personality and make your content more browsable (learn more here). Even with all the attention given to text, the Internet is actually a visual medium. Pay-per-click (PPC) advertising platforms like Facebook and Google AdWords can produce new patients quickly. They can also grow your new patient reach by targeting neighboring jurisdictions. While some marketing companies offer online advertising as an extension of their service, there are also standalone providers. What’s great about digital advertising is that results are highly measurable. You can see how much you’re paying each month and how many new patients those ad dollars are producing. The drawback to using a standalone provider is they have limitations in how they can integrate your digital strategy. For instance, your PPC campaigns should lead to specific landing pages on your website. These landing pages are something your website provider would have to create. Since standalone providers can’t do this, they often direct clicks to a client’s home page – which only leads to wasted clicks and a depleted budget. 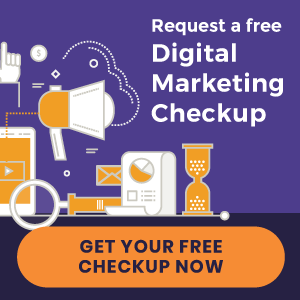 While a digital advertising provider will run your campaigns on your behalf, they should provide transparent reporting and have experience marketing for chiropractors. It’s unlikely that just one of these eight strategies will produce the results you’re looking for. It takes an integrated strategy to keep current patients engaged while growing your new patient reach. Want to attract new patients who have never heard of you? Want to improve patient retention and encourage referrals? Looking For a New Marketing Company? Be sure to research several marketing companies before signing an agreement. Have a prospective provider evaluate your website to see how they can help reach your goals. Also, qualify them by asking the right questions. Download our free eBook below, “7 Questions to Ask Your Website Provider,” for answers to look for when vetting a prospective chiropractic marketing company. « New Websites – Pittsburgh Chiropractic Associates, Boca Chiropractic and More!